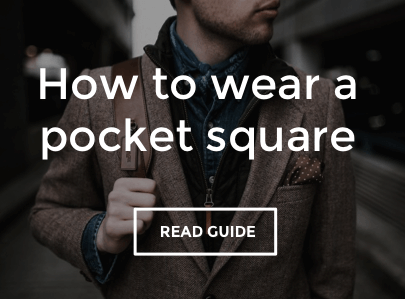 Inject some personality into your blazer or suit jacket with a pocket square this season. Folds don’t have to be fiddly and after a bit of practice you’ll be wearing your pocket square like a pro. Go bold with patterned styles or keep it simple with a plain pocket square to match the colour of your tie.